Cameras on mobile devices keep getting better and better and the OnePlus One is on of those devices that just has a stunning camera, one that makes you smile every time you take an awesome picture. Well, film director Giacomo Mantovani thought it would be fun to see how a $299 smartphone would do against the $3,399 Canon EOS 5D Mk3 a 22.3 Megapixel camera 14 bit resolution and shoots 1080p @ 30fps. Lets first take a look at the camera specs of both devices. On one side we have the OnePlus One with a 13 megapixel Sony EXMOR IMX214 sensor with an f/2.0 aperture, six physical lenses, recording at 4K. The device runs Cyanogenmod 11S and has been incredibly popular since its launch several months back. 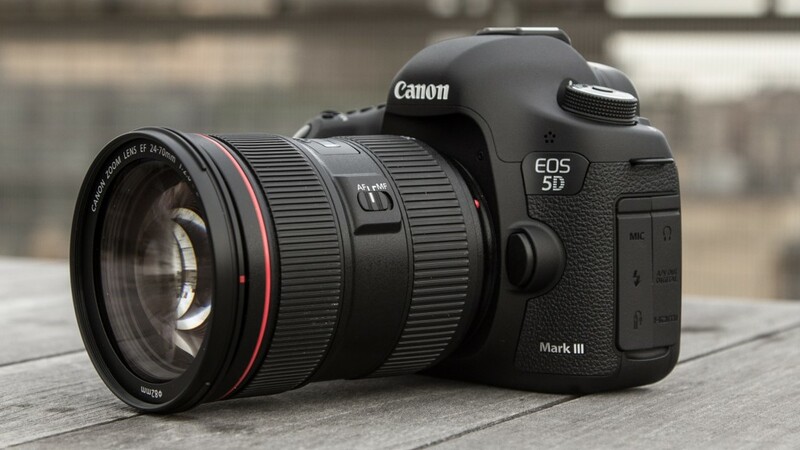 One the other hand we have the Canon EOS 5D Mk3 22.3 megapixel DSLR, with a full frame CMOS sensor, 14 bit resolution and shoots 1080p @ 30fps. This camera is mostly used in professional filmography which has been used to shoot The Avengers, Captain America, Iron Man 2 and many more movies. The camera launched 2 years ago. Blogger Giacomo has performed 2 tests one during the day and the other one at night. First we are going to take a look at the day video and later on at the night video. In the footage it is clear that the one you thought would initially win, might have a hard time beating the $299 smartphone. The footage shows that the OnePlus has a much clearer image specially when zooming in (a good example is minute 1:53). The only slight difference on some pictures is the improved lighting of the Canon. The night test has also been performed with no color correction, no post production effects and no noise reduction. However, here is where clearly the OnePlus One fails to impress as the Canon shows way better picture quality and lighting. The $299 smartphone has done incredibly well against a professional $3000 camera and there is no doubt about the fact that this makes the OnePlus One the clear winner. However, the Canon 5D when used in not completely perfect conditions is way better then the smartphone, but on the other side you can’t check your email or twitter with a $3.000 dollar camera.